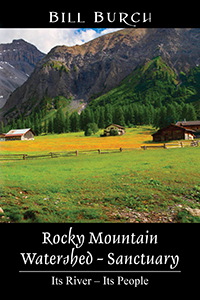 Bill Burch’s “Rocky Mountain Watershed – Sanctuary.” Laura Menard, a transplanted college professor from the Midwest, finds herself working with Ted Miller, a back country ranger for the U.S. Fish and Wildlife Service. She does not expect to be caught in the crossfire between two ruthless drug cartels fighting for control of the Whoosh Watershed — nor does she expect to fall in love. Previous Previous post: An Outskirts Press Publishing Offer…Just in Time for Cyber Monday! Next Next post: Submit your book by January 9th for the INDIE Book of the Year Awards!